We provide an all-in-one client management, billing and support solution for online businesses. SolutionsPal’s online billing system handles everything from signup to termination, with automated billing, provisioning and management. With SolutionsPal’s billing system, you’re in control with a very powerful business automation tool. Recurring billing is ideal for businesses and corporations that wish to sell products or services with recurring billing to their online customers. Save time and ensure your money is being collected. Our billing system is a life saver. We have saved our customers hundreds of hours by automating their recurring billing process. 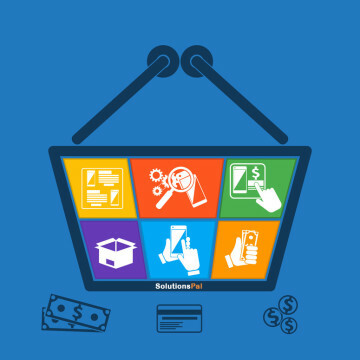 SolutionsPal’s automated billing solutions are customized to your business needs. We work directly with you to develop an online billing system that will simplify your source of income. With growing usage of the Internet, people are utilizing the convenience of online shopping and the ability to place an order for what they want at all hours of the day and night, at the office, home, airport, a cafe, or just about anywhere you can imagine. Recurring billing is ideal for businesses and corporations that wish to sell products or services on a regular basis, via subscription services or some other similar type venue, to their online customers. Save time, and ensure your money is being collected. Our billing system is a life saver. We have saved our customers hundreds of hours by automating their recurring billing process. Contact us and we’ll provide an online demonstration of our system and provide you with a solution that is customized and flexible for your business growth.